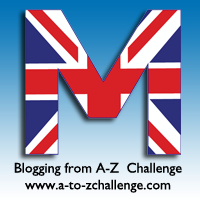 For the letter ‘M’ I have chosen Marmite. Marmite is a famous British spread made from yeast extract, invented in the 19th century by a German scientist called Justus von Liebig. The Marmite brand was established in 1902 in Burton-Upon-Trent and has since become an iconic British product. We even use the term ‘Marmite effect’ to describe things that generate strong opposing feelings. Marmite is also now a novelty flavour in a lot of different products, such as crisps (potato chips), rice cakes and crackers. Starbucks in the UK even does a Cheese and Marmite panini! My Mum is a massive Marmite fan and is obsessed with the Marmite crisps. I even bought her a Marmite mug and The Marmite Cookbook by Paul Hartley, which has loads of delicious recipes. You can also collect special edition jars for events like the Queen‘s Diamond Jubilee and special flavours like Guinness. I enjoyed the Christmas 2012 edition that contained edible gold flecks! Are you a lover or a hater? Vote in my poll below! I've never tried it. From the sound of it, I'm not sure I would… Great poll! My husband uses a teaspoon in boiling water when we need a vegetable stock for a soup (our girls are vegetarians). Then it seems ok, the rest of the time I am on the hate it side. Yuck! I have blogged about it in the past – but only about how much I don't like it. 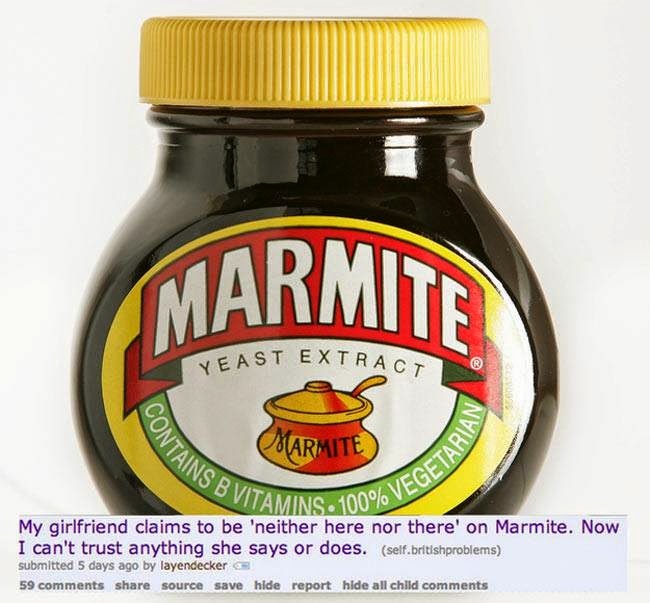 Lol, I'm not a Marmite fan, but my sister loves it! I think I will leave Marmite to Paddington Bear or my own Hibbs!